French luxury shoe designer Christian Louboutin won a lengthy EU legal battle over trademarking his signature red-soled high-heeled shoes, the court and the company said on 12 June. 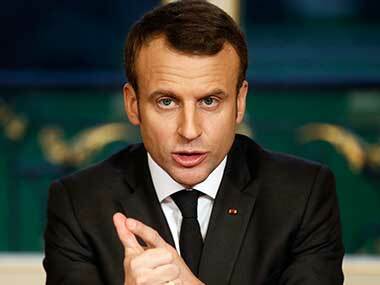 Designers from France’s Jean Paul Gaultier to Lebanon’s Elie Saab descended on the Elysee Palace for dinner on Monday, as Macron sought to further boost one of the country’s most profitable sectors with an appeal to brands from far and wide. The last day of the 18th Jio MAMI Mumbai Film Festival is here. There are lots of interesting Indian films and a talk with Karan Johar. Priyanka Chopra was sighted dining out with celebrated shoe designer, Christian Louboutin, at the Chinese restaurant, Yauatcha in Mumbai on Friday night. They must have had a lot to talk about given her sharp fashion sense which has finally emerged victorious, after many trials and errors in that department. Priya Sachdev's party for fashion designer Diane Von Furstenberg last night had Mumbai's fashion elite toasting the designer over cocktails and dinner. Kareena may not have patented the red haute shade she wears in the song Chammak Challo that’s got everyone clamouring for it, but she definitely owns it.